Are you an aspiring stylist assistant looking for a chance to work with one of the best salons in Philadelphia? Then we’re looking for you! We have an amazing opportunity to join the #VanFam as a stylist assistant. If you’re hard working, creative, and looking to work in a fast-paced environment focused on keeping clients happy and beautiful, then apply now by emailing your resume to info@salonvanity.com. Good luck, we look forward to seeing what you think you could bring to our team! 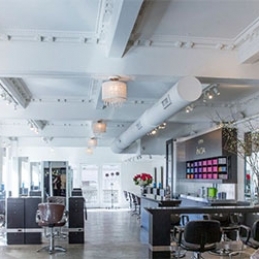 Salon Vanity is a Philadelphia Salon located on the corners of 17th and Walnut in Rittenhouse Square. Need a reason to vote? Check out our stunning work byfollowing us on social media!